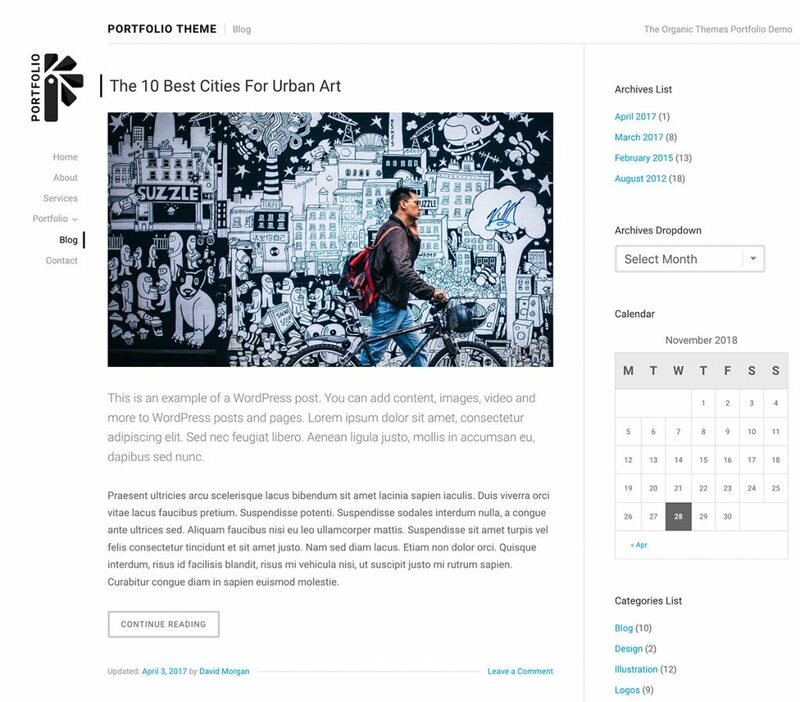 Upon activation of the latest Portfolio and Portfolio Lite themes, if your homepage is set to display “Your latest posts,” posts will now display in a 3 column, portfolio style layout. A Featured Image or Title will display for each post, rather than the full post content. With previous theme versions, the latest posts on the default blog displayed in a more traditional, single column blog layout. However, we felt that since this is a Portfolio Theme, it should look like a portfolio upon activation. So, we made this change as of Portfolio Theme v6.3 and Portfolio Lite 1.3. Add a Page Title (Usually “Blog”). Select the “Blog” template from within the Page Attributes section. Add the page to your Custom Menu. Voila! It’s that simple. 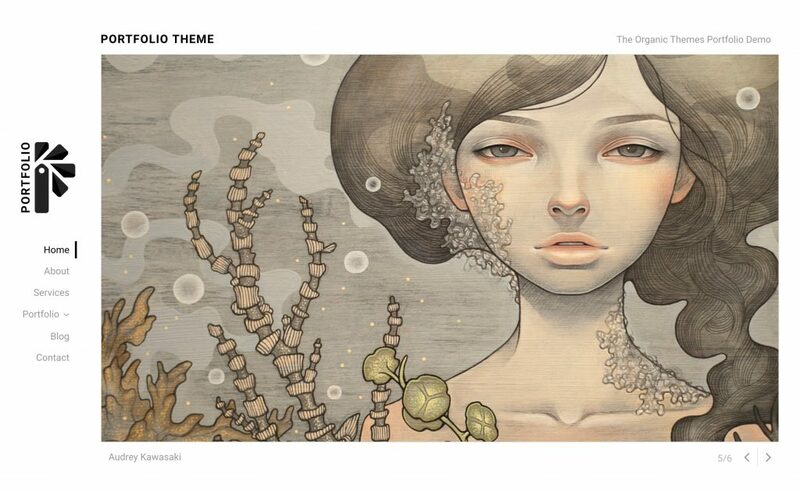 Your new blog page will display as it did with previous theme versions. Gutenberg replaces the traditional WordPress image gallery with the new Gallery Block. This is great! The Gallery Block looks way better than the old WordPress image gallery. However, the Portfolio Theme uses the traditional WordPress gallery for creating and managing slideshows. The theme accomplishes this by taking the first image gallery added to your post content, and using those images to create a slideshow. It’s a clever bit of code that we’re quite proud of. Unfortunately, the Gutenberg Gallery Block does not perform this way. Never fear, you can still add a traditional WordPress gallery to your content within Gutenberg for managing slideshows! This is accomplished using the Shortcode Block. Within a post, or page with the Slideshow Page Template applied, add a Shortcode Block as pictured above to your content. Change the image IDs to match the order and IDs of the images you wish to be displayed in your slideshow. Then, publish or update the page. A slideshow within the Portfolio Theme. After adding a Gallery Shortcode to your post or page content, the images will display in an elegant slideshow on your website. We hope you enjoy the Portfolio Theme updates! Really appreciate your layout update and I love the idea to keep old layout as well. Keep rocking. Amazing updated this time in Gutenberg Portfolio Theme and love the way it is explained here. Thanks for your post. Thanks Megri, we’re glad you enjoy the theme! Hi, I need help. 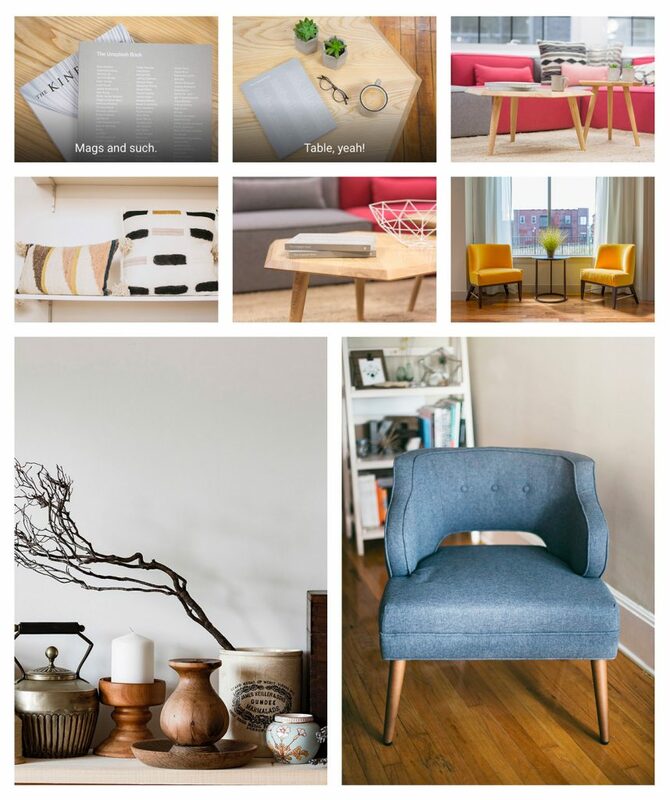 How do I create my gallery as in the home demo photo? Hello, for theme support questions please refer to our support forums and a member of our team will be glad to help you. Thanks!